Chris Haining Writes: 2000th Page View! 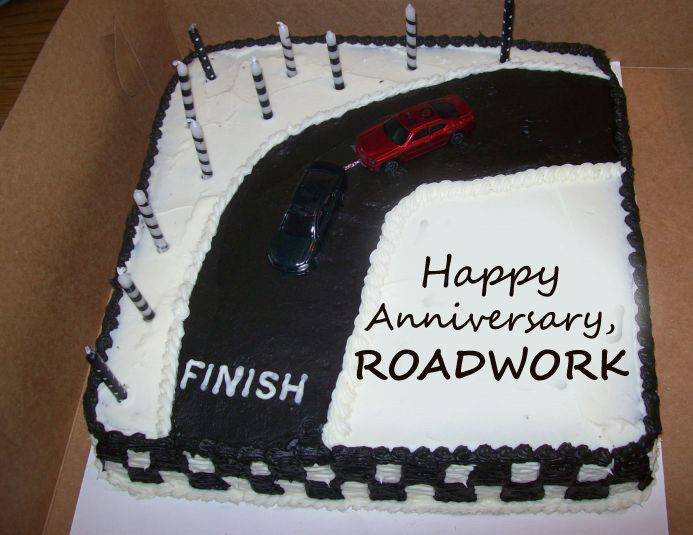 Well, ROADWORK has had it's two thousandth page view, and it's time for me to say a colossal thank you to all of you who have visited by so far. I know two thousand isn't a huge number by interweb standards, but it means that people out there are actually interested in the site, and that means a lot to me. I don't know who many of you are, the site has only actually ever had one comment. I assume most of you are Hoonitarians, but whoever you are I will be drinking a pint of something brown and cloudy and best served at 8 degrees, in your honour on Friday night. Meanwhile I have more stuff poised to go online, I'm trying my best to keep a ratio between work, ROADWORK and my girlfriend. Thanks again everyone, please keep stopping by.